A Good Addiction: Linger ARC Giveaway! 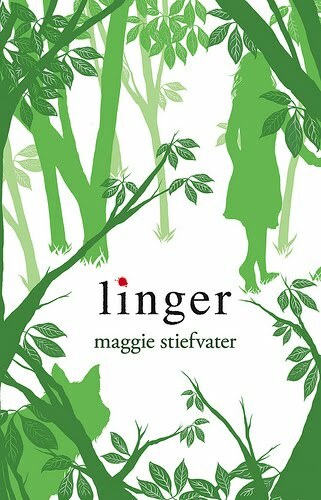 I've got an ARC of the highly wanted Linger and since this is a book I plan to buy a finished copy of when it comes out, I want to pass my ARC on to someone else. But, yes, there's a catch. I wanted to do more on this one than the standard fill out this form and enter kind of thing. To enter, you have to answer this question: If Sam were to write a song for you, what would it be called? I've got five friends on board to help me judge the most creative title after I pick my top ten favorites- winner as chosen by their consensus gets the ARC. Note: This is NOT a contest chosen by random.org. It is based entirely on creativity with the answer to the above question. Want to increase your number of titles to enter? Tweet about this or post it on your sidebar and you can add one title for each- max of 3. The contest will run through June 6 and you must have a US mailing address to enter. Fill out this form to enter! Comment entries will NOT be accepted- but you can still comment about the contest in general. Want another chance to win? Check out Emilee's blog at Penultimate Page, also running through June 6. Thank you so much for this contest! I want Linger super badly!